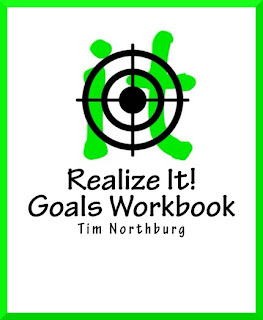 What Is A Good Goal Setting Workbook? I have been setting yearly goals and tracking them since 1996. It is amazing at the end of the year how many goals I have crossed out. The challenge isn't sitting down and setting goals. It is looking at them on a daily or weekly basis and focusing on the things you want to accomplish. If you don't set goals first it is impossible to reach them. 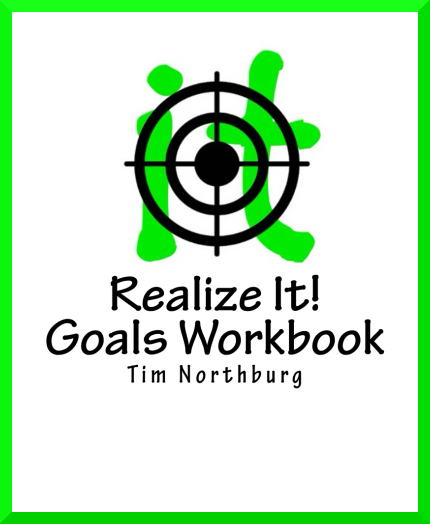 I took the tools I used each year, to set goals and monitor them, and put them into this handy goals workbook. Look at them daily . . .
Monitor your progress . . .
And you will realize them! Sales: What Are Good Closing Techniques? In sales, you are told by your managers, and selling gurus, to ABC = Always Be Closing. However, more often than not you go through your sales process, discover the customer’s wants and needs, show them the features and benefits, sell to their hot buttons, but when you get to the end of the process or a customer throws out an objection, you don’t go for the close. Why do you do that? There are a multitude of reasons. You may be having a bad day. You may be afraid to push the customer away by trying to “close” them. You may not be prepared to handle their objection. Whatever the reason, you have to remember that you are in sales, and nothing ever gets sold without asking the customer to buy. The deal isn’t closed until you write them up and get them to sign. The transaction isn’t processed until it gets rung up, and the customer pays. Don’t be afraid to close. If you have done a “bang up” sales presentation, you have earned the right to ask the customer to buy. So, what are some good closing techniques to remember to use when you get to the end of your sales pitch, or are faced with some objections? There are many different techniques and styles out there, but here are a few that are useful. Some have been around for ages while others are new spins on an old close. LET ME ASK YOU A QUESTION: This is a good lead up to a close and smoothes over a closing question. Instead of asking the closing question point blank ease into it, “Let me ask you a question . . . what would you have to think about?” More often than not customers will respond better to this. You ask command of their attention by saying, “Let me ask you a question . . .” Pause for a second then when you have their attention, ask your closing question. This is also a good lead-in to the next closing technique. IF I COULD, WOULD YOU? : This is probably the best closing phrase out there. However, it is the most used phrase out there. Customers know you are closing them when you use this. But, it works. So, why not use it? “If I could get you to $250 per month, would you buy this right now?” Don’t be afraid to ask the customer to commit. What is the worst they are going to do? Say no. I have also used the phrase, “I wouldn’t be doing my job if I didn’t ask . . .” and then ask them, “If I could, would you . . .” This eases into the question and the customer knows you are just doing your job. WHAT IS IT GOING TO TAKE? : Many times customers are elusive with you. They play the “shopping” game and keep everything to their chest. They don’t want to tell you what it will take to close them. I always found this stupid. Why not just come out and tell us what you want and I will tell you if I can do it. We want to earn your business. However, it is not always that easy. You have to probe. There are several variations of this question; “What is it going to take for you to do this today?” or, “What is it going to take to end your shopping right now?” or, “What do we have to do right not to earn your business?” or, “What ideally does this have to look like to make this work for you right now?” These are the most direct phrases to ask and get a direct answer from your customer. LET’S PROCESS THE ORDER: You have just finished showing the customer you product. Write them up, or ring them up in your system and say, “Let’s process this order, how would you like to pay?” That will tell you right there what you have. You might be surprised. The customer may respond, “I’ll pay with cash.” Or, “Do you take checks/credit?” Sometimes all you have to do is assume the sale. I know you are saying to yourself, “All these techniques are cheesy, or canned, or ‘old school’ and I don’t want to be that way.” Okay, I get it. You are right. Most of these are ‘old school’. The fact is, that when you use these, at the right time, in a calm and non threatening way, they work. Stop being afraid to close! Sales: How Do You Overcome An Objection? #1 IDENTIFY with the customer. This makes them feel that you are listening to them. It puts you in the seat of empathy and builds up deposits. #2 ISOLATE the objection. Figure out their real concern and if that is the only thing keeping them from moving forward. #3 RFINE the objection. Ask open-ended questions targeted at the objection to gain clarity and insight as to the strength and validity of the objection. This further questioning builds your angle to head off or overcome the objection. Then use logic and support it with appropriate information addressing the concern. #4 TARGET the objection. Summarize and answer the objection logically. Provide options that move toward a purchase decision and close the deal. 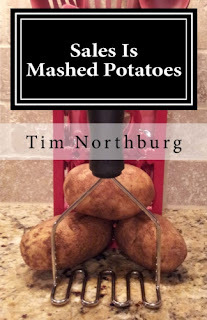 From Nov 4th through Nov 8th author Tim Northburg is offering a free promotion of his book, Sales Is Mashed Potatoes. Get a free copy by getting the Kindle reader app on your Apple or Android smart phone or tablet, or on your PC and download your free copy of this sales book. I would love to hear what you thought of the book.